Tiriki is a Guardian of the Light, but she has grown up in the shadow of the curse of Atlantis. Graceful and gifted, she is the beloved wife and partner of Micail, a spiritual leader and prince. But when disaster divides them, she must find her own path in a new land, and the world she discovers could change her innermost desires forever. Will she find Micail? And if they are reunited, can they find love once again? Damisa has inherited royal blood and royal pride. In Atlantis she was only an acolyte, but in the new land she could become a queen. She is fierce and ambitious despite her tender years, but her heart remains torn. Will she choose the path of the priestess or the path of power? Hints of this mysterious past have haunted all the novels of Avalon, but until now the full sweep of this rich history has not been revealed. 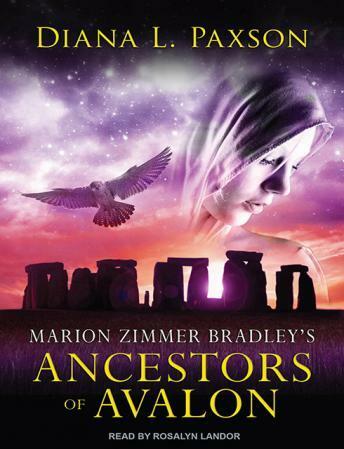 Peopled with the remarkable women who have always inhabited Avalon and set in a world of wondrous enchantment, Marion Zimmer Bradley's Ancestors of Avalon is another spectacular epic that is sure to please Bradley's many ardent fans and anyone who loves spellbinding stories of romance and myth.